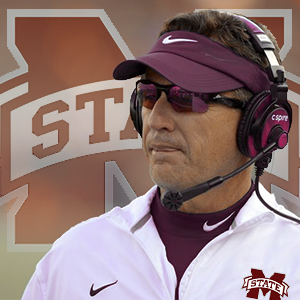 MOBILE, AL – Former South Alabama head coach Joey Jones was hired by Mississippi State as its special teams coordinator. Jones joined WNSP on the Opening Kickoff Friday morning to discuss what this means going forward in his career, the first interview for him since his hiring was announced Thursday evening. Jones became the first head coach of South Alabama’s football program in 2009 and helped the Jaguars make the jump to FBS play. He also led the team to its first two bowl game appearances. Jones’ tenure at South resulted in a 52-50 overall record. One of the highlights from Jones’ time at South Alabama is his work with special teams—despite a losing record, the special teams unit shone. At Mississippi State, Jones will be working under head coach Joe Moorhead. Moorhead is coming into his first season as head coach after spending the last two years as the offensive coordinator of Penn State. “I read about him and heard a lot about him through the coaching world,” Jones said. “I have nothing but the utmost respect. “He’s a first-class man. He’s a phenomenal offensive mind. That’s what he’s mostly known for. Jones played college football at Alabama from 1979 to 1983 as a wide receiver. He caught 71 receptions for 1,386 yards, which ranks seventh in career yards at the school. Jones started his coaching career in 1989 at the high school level at Briarwood Christian School as an assistant and worked his way up to the collegiate level in 2006 with Birmingham-Southern. He then spent nine seasons as the head coach of South Alabama. “It’s been a real blessing for me and my family just to coach football in general and being able to start a football program at South Alabama,” Jones said. “I’m really proud and enjoyed my time there. “Now, here we are. I’m standing on the SEC practice football field, and chills are running up my spine right now. It’s a dream come true. For more, you can listen to the full interview below and listen to the Opening Kickoff weekday mornings from 6 a.m. to 9 a.m.